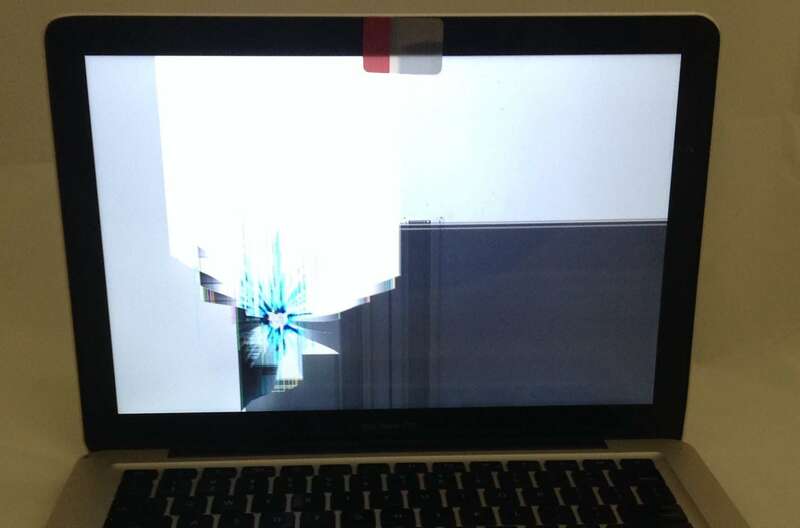 There’s no mystery about what happened to this 2009 13 inch MacBook Pro, the impact location is clearly impressed on the lower left side of the screen. It almost looks like a bullet hole, with a bright blue burst surrounding the point of impact. There are also gray and white portions of the screen and some vertical lines. All of this indicates that the LCD is broken. There’s also a small crack in the glass under the sticker at the top of the screen. We replaced both the LCD and Glass on this Mac to get the laptop back to fighting shape after it was accidentally cracked. The cost for both was only $250.